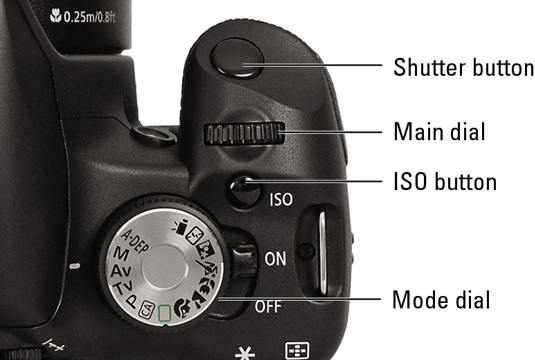 Get to know the external controls and all the functions of the exposure modes on your Canon Rebel T1i/500D digital camera and you’re on your way to taking great digital photos! 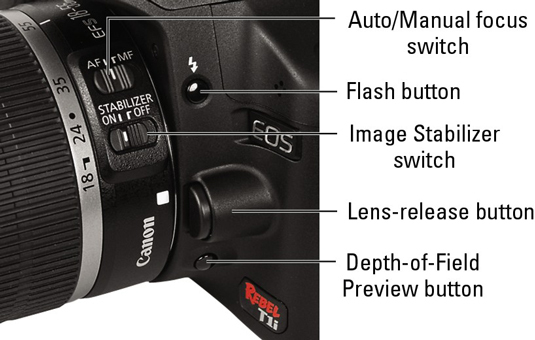 Here’s a guide to the buttons, dials, and other external controls on your Digital Rebel T1i/500D. The lens shown in the digital camera below is the Canon EF-S 18–55mm IS (Image Stabilization) model sold with the Rebel; other lenses may vary. Controls marked with an asterisk have multiple functions. 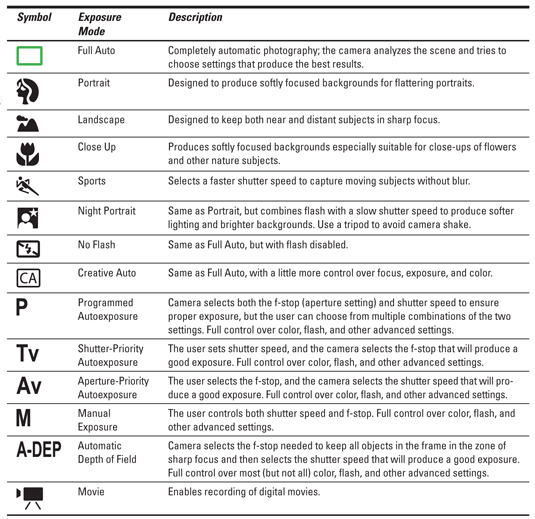 Use this table for a quick explanation of your Canon Rebel T1i/500D camera’s exposure modes (you select these using the Mode Dial on top of the digital camera). Control of picture-taking settings depends on the exposure mode. 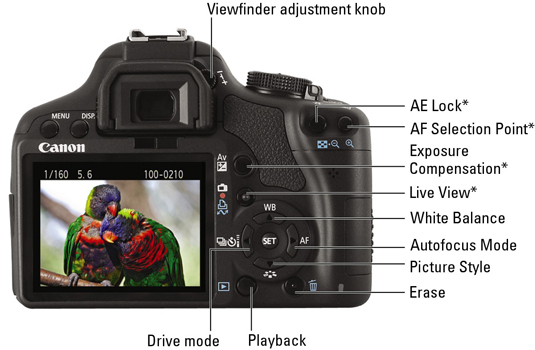 Some are fully automatic, and others let you precisely manipulate exposure, color, and focus.